The security details to Ekiti Governor, Ayodele Fayose, have been withdrawn. This was confirmed by his spokesperson, Lere Olayinka, on Twitter. 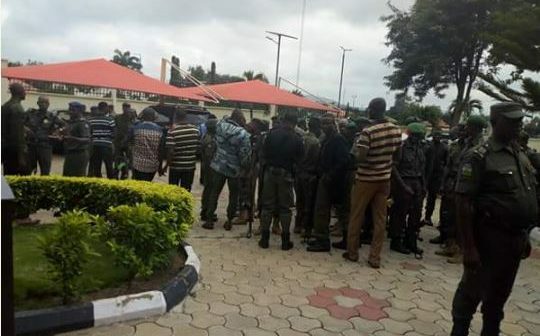 “Gov Fayose’s Security aides have just been withdrawn,” Olayinka simply tweeted. The security operatives were seen gathered together for a final address before their exit. 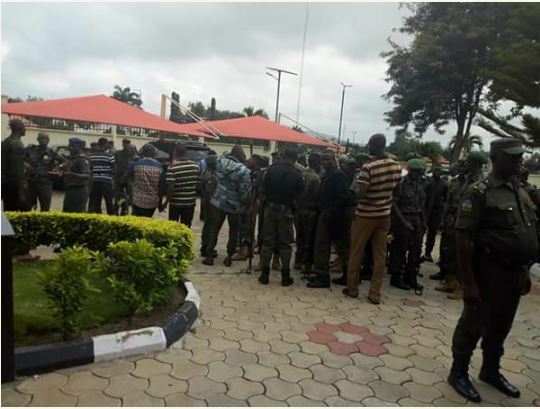 Earlier in the day, the Deputy Inspector General of Police (DIG) Operations, Habilal Joshak, has said the security details of important personalities in Ekiti will be withdrawn on Saturday to add to the credibility of the Ekiti governorship election holding on July 14. The police boss added that no party will be allowed to hold any political rally not approved by the police until the election was held.